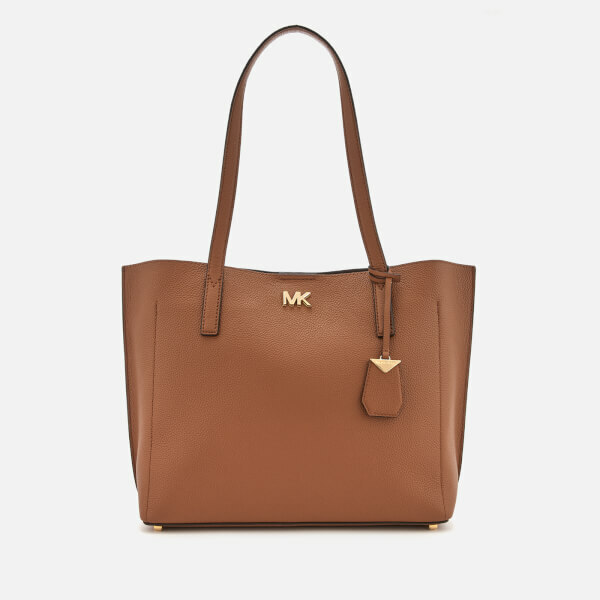 Women's tan leather tote bag from MICHAEL MICHAEL KORS. 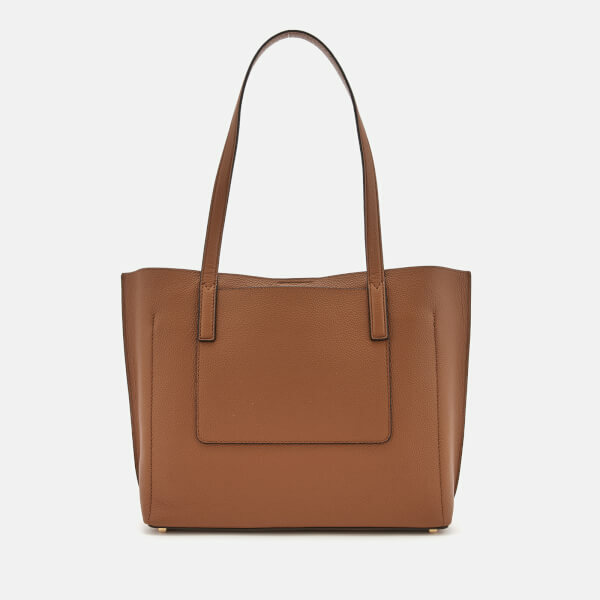 Crafted from pebbled leather with a softly structured design, the medium 'Ana' bag is secured with a magdot fastening and opens to reveal a spacious interior with a large slip pocket and a separate zipped section for extra storage. The tote features two flat top handles for easy carrying, and two metallic bars at the base for protection when placed down. Finished with an additional outer slip pocket to the rear, and a luggage tag charm. 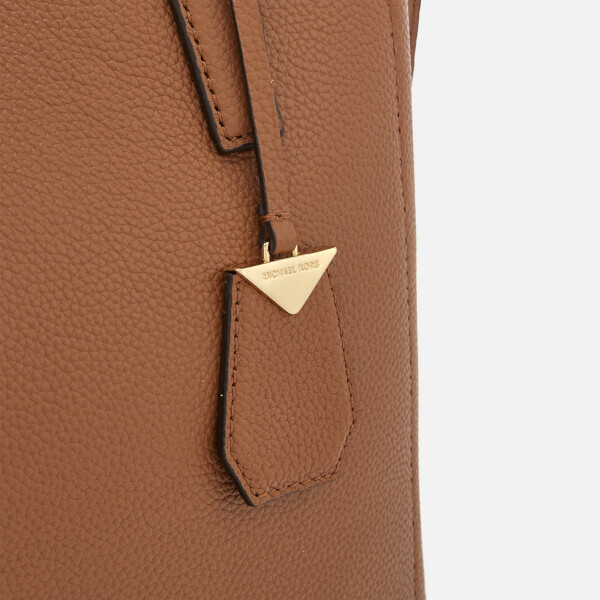 Gold tone 'MK' branding to the front. Arrives with a branded dust bag. Dimensions: H: 26cm x W: 30cm x D: 13cm. Handle Drop: 27cm.